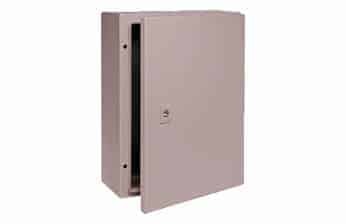 Two installation lugs have been pre-drilled at the top of the unit for an easy installation to a wall. 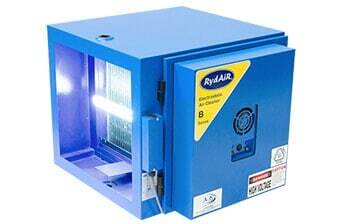 When the red switch is illuminated, it indicates that the ozone generator is in full operation. 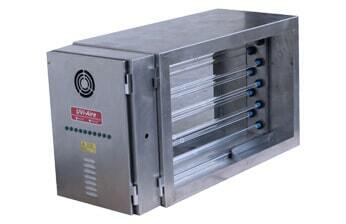 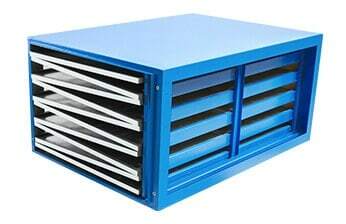 The cooking fan is built inside the unit to prevent dust build up. 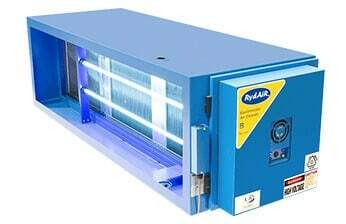 Enables access for maintenance and servicing of the ozone generator unit. 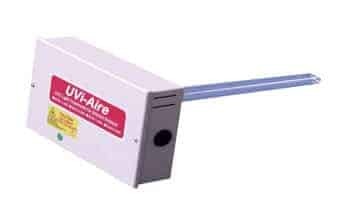 100mm PVC pipe is connected to the outlet and to the kitchen exhaust duct. 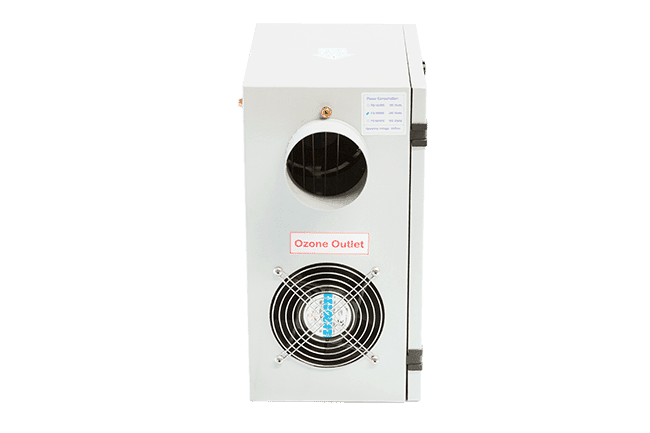 Power on the ozone generator unit by switching the on/off switch. 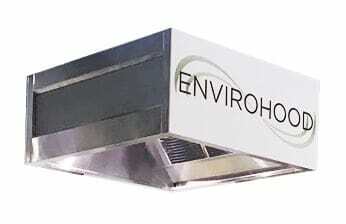 The ozone output can be adjusted according to the cooking odours and intensity of cooking. 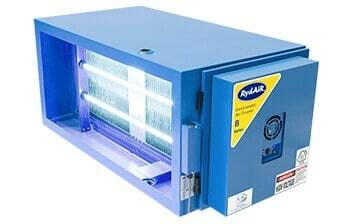 When the indicator illuminates blue, the ozone output is in operation. 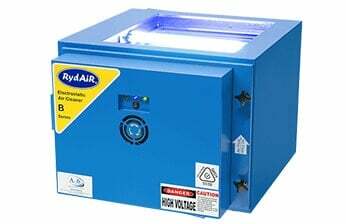 Our ozone generators are designed to produce the gas ozone with an electrical current, converting oxygen in the air to ozone via the corona process. 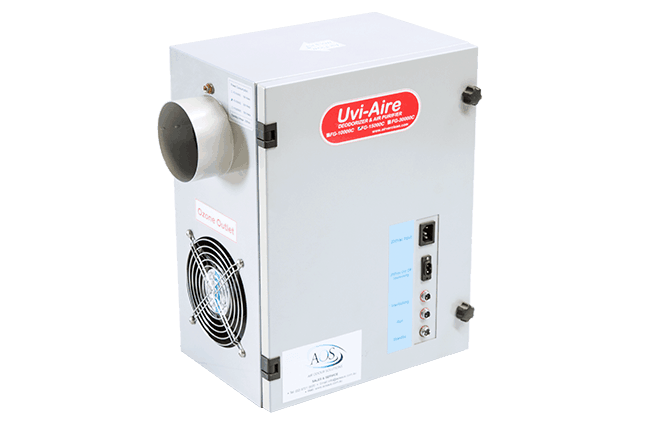 This activated form of oxygen readily oxidizes organic molecules, reducing them to odourless compounds. 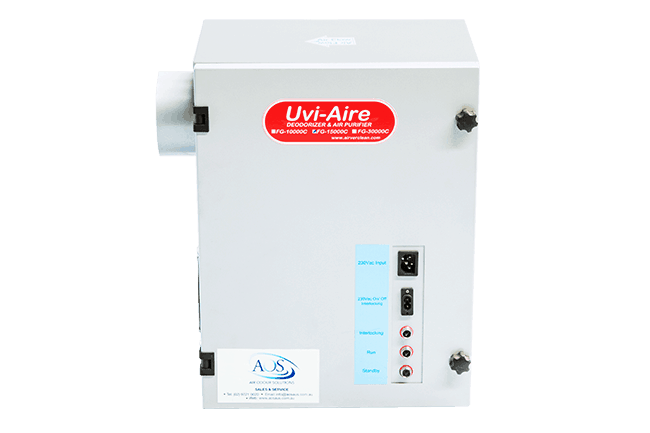 Ozone is used effectively in water purification, however ozone in the air must reach high levels to remove air pollutants. 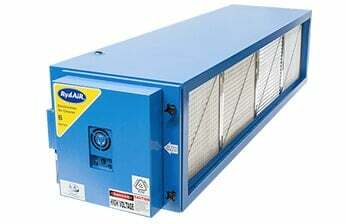 A safe level of ozone not harmful to human health will not be concentrated enough to remove air pollutants. 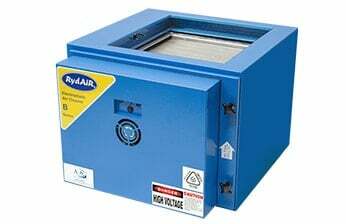 Hence industrial use with no human exposure is required during utilisation of these machines. 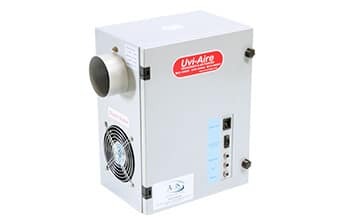 These ozone generators will destroy organisms such as bacteria and viruses which normally escape high-tech filtration systems including HEPA filters. 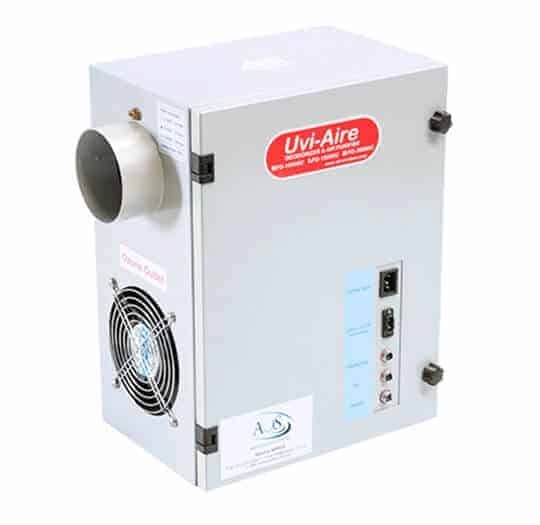 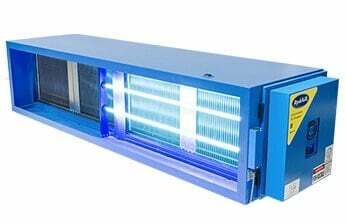 As ozone is unstable gas and highly variable in its reactive nature, they are usually utilised after a filtration system such as after an electrostatic air cleaner. 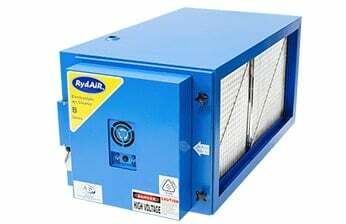 Air and odour solutions ozone generators are used in a kitchen exhaust system to reduce odour and grease from a kitchen exhaust system. 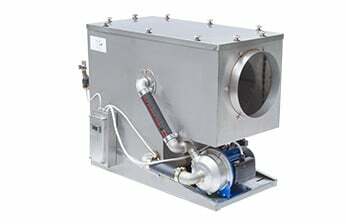 The ozone generator is integrated into a kitchen duct for air purification. 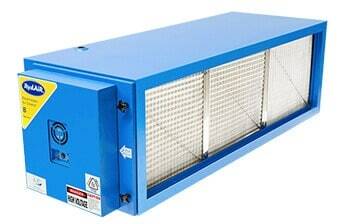 The ozone generator can reduce grease and cooking odours keeping the ductwork clean and discharge free from cooking odours. 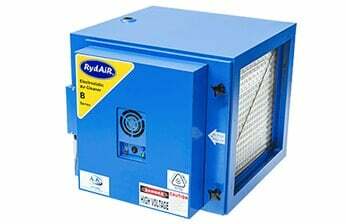 The removal of grease in a kitchen exhaust system will reduce duct cleaning and reduce the chance of a fire occurring in a kitchen’s ductwork.